Dear Mr. Dad: You often write about how couples can improve their communication and how that communication can protect their relationship. But what about after the relationship ends, which is what’s happening with my girlfriend and me? A: It may sound strange, but communication during and after a divorce or breakup is still critical. 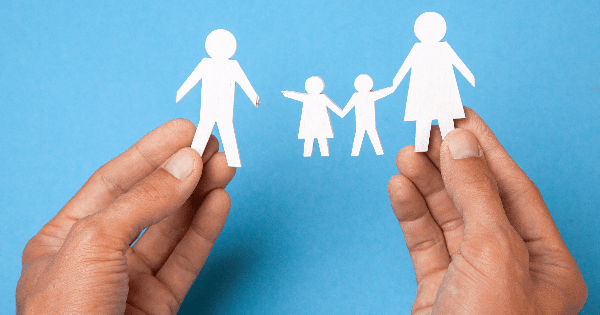 First, maintaining a respectful, businesslike (or better) relationship will make it easier for you to reach equitable agreements on child custody and how to divide up your assets. Hopefully, you’ll be able to do this without expensive lawyers and court costs (about 90 percent of divorcing couples nationwide are able to settle out of court). Second—and most important—the biggest predictor of how well children will cope with the divorce or breakup is the level of conflict between the parents. The following may make your impending change in identity from “father” to “single father” (and your girlfriend’s transition from “mom” to “single mom”) a little less unpleasant. Yes, just three sentences ago I said it would be great if you could avoid lawyers, and that’s still true. Hiring a lawyer does not mean that you’re heading for the courtroom. Nor does it mean that you’re expecting a confrontation with your soon-to-be ex. What you’re doing is getting someone involved who, without any unpleasant emotional attachments, will protect your interests and make sure that your concerns are properly addressed. Most divorce lawyers have seen dozens of cases just like yours and know exactly what to look out for. Do you? You’re going to be under stress; there are a thousand intense and scary feelings running through your head at the same time; and you’ll probably want to avoid as much conflict as possible. That’s good. But that desire leads a lot of men facing a breakup to make decisions that are bad for them and bad for their children. A lawyer can help you draft fair property settlements and custody arrangements that will (hopefully) avoid conflict in the future. If the two of you are getting along okay (not well enough to be together, just civil to each other), and you think you can continue to do so for a while, I strongly suggest that you consider mediation. In most cases, mediation is cheaper, takes less time, and is much less psychologically damaging for everyone, including the kids, than a knock-down, drag-out court battle. Another alternative is collaborative divorce. With this approach, you and your partner each retain a collaborative attorney and agree to settle your issues by negotiation or mediation rather than by battling it out in court. There’s no such thing as “winning” custody. When it comes to custody battles, everyone loses, especially the kids. If your partner gets sole or primary custody, your relationship with your children will suffer greatly, and your children will bear the many negative consequences associated with long-term father absence (poorer academic performance, poorer social skills, increased chance of abusing drugs or alcohol or of getting in trouble with the law, and a greater likelihood of starting sexual experimentation early). But if you get sole or primary custody, your ex will miss out on having a relationship with the kids. And as you might expect, the negative consequences of mother absence are just as significant as those of father absence. The bottom line is that the best parent is both parents. Right now the most important thing you can do is try to make the transition from one family to two as smooth as possible. And the place to start is by striving to keep communication with your ex as civil as possible. As mentioned, above, the children who suffer the least when their parents split up are those whose parents have the lowest levels of conflict (or at least those whose parents keep their conflicts to themselves). This doesn’t mean that you and your ex need to be best friends or even that you have to speak to each other very often. What it does mean, however, is that you both have to agree to keep your eyes on what’s really most important: your child(ren). Next week, we’ll talk about a few more breakup-related communications strategies.